Bajji is a very popular and an addictive deep fried evening snack. Bajji is made by coating different types of vegetables like onion, potato, plantain, eggplant etc in a special batter and deep fried in oil. 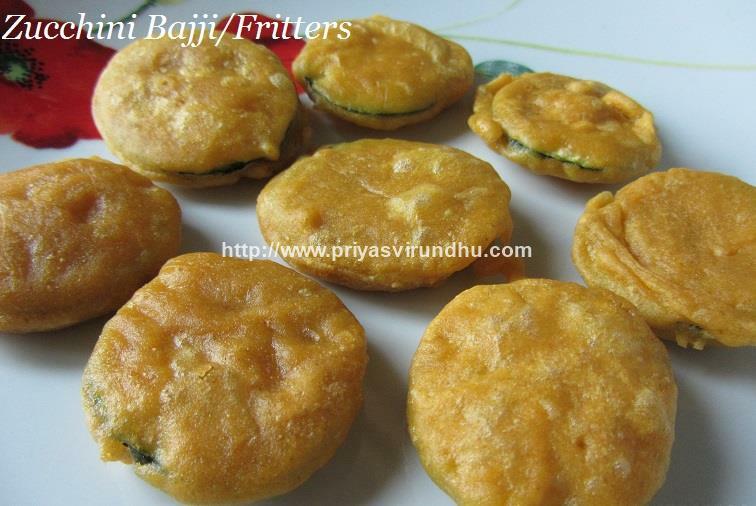 For a change, I have made bajjis with zucchini and it taste totally awesome. Try out this wonderful snack and enjoy your day. You want your kids to have vegies, then here’s an ingenious idea to make a perfectly healthy and tasty appetizer or evening snack for your kids. 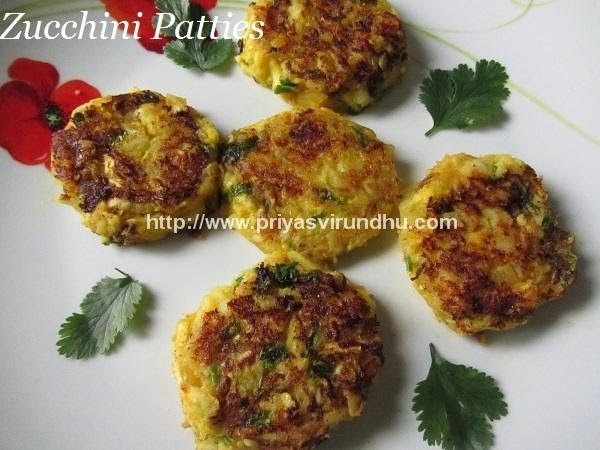 Zucchini patties are perfect appetizers or evening snacks. 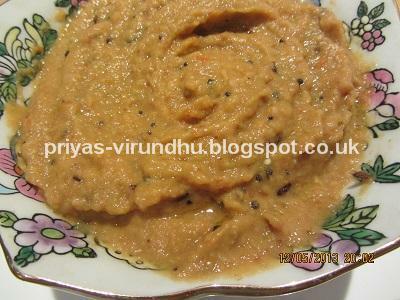 Do not forget to check out zucchini chutney, Zuchhini kootu which I have posted earlier. 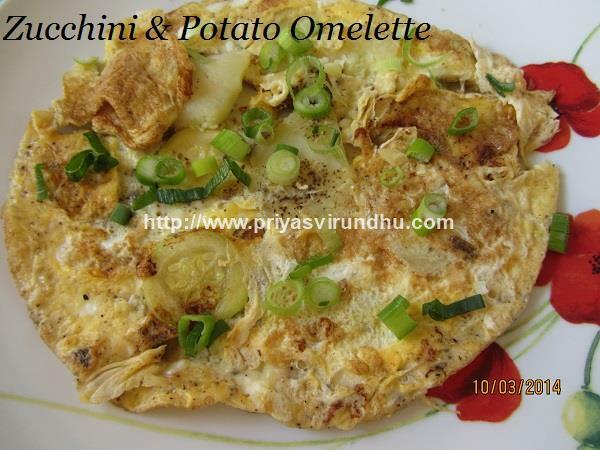 Kootu is a very common and a staple food of Tamil Nadu. It is a very healthy combo of vegetable of your choice and dhal cooked together along with other ingredients. No feast in Tamil Nadu is complete without a kootu. 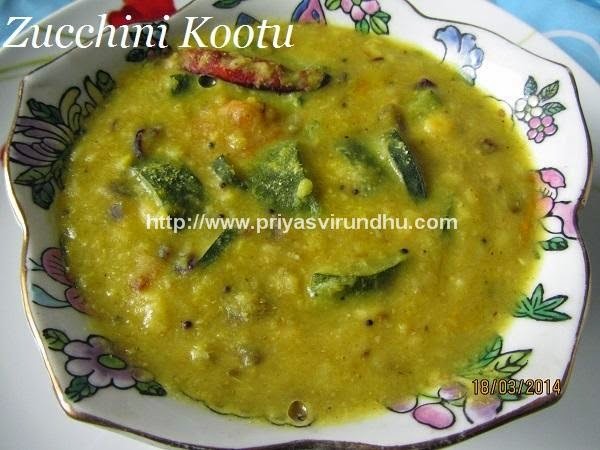 I have already posted different type of kootu varieties prepared in most of the households in Tamil Nadu. But this kootu is very special, the reason is, it is a perfect blend of South Indian cooking with an exotic and a versatile vegetable, none other than “zucchini/Courgette”. Do try out this delectable kootu friends and give me your feed backs. Here’s how to make Zucchini Kootu with step by step photos…. Zucchini is a summer squash, very low in calories (15 calories per 100gm), rich in folate, potassium and vitamin A. It is a very delicate vegetable which cooks very fast. This is a exotic chutney with a Indian twist… Check out other delectable chutneys here.